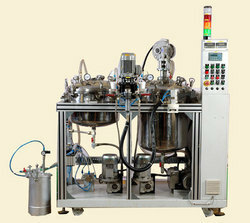 Manufacturer of solventless lamination dosing mixers, pumps, direct glazing machines, robotic sealant dispensers, tracers etc. S. S. Tanks 60 liter with heating arrangement and precise temperature control / level sensors. 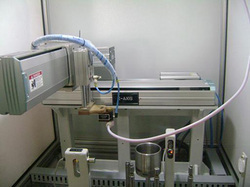 safety interlocks to prevent de-lamination. 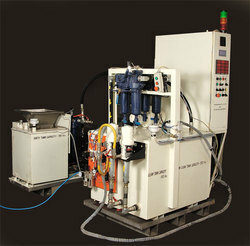 electrically driven dynamic mixer for material recirculation facility. attachments: rotary table for circular filters, magnetic x-y table or programmable x-y table. Flow rate 5 gm. to 10 gm. /sec. » for 2 wheelers = 60 sec. » for 3 / 4 wheelers = 180 sec. oil transfer facility from 200 lit barrel or centralized oil feeding system. » trolley with movable wheels. 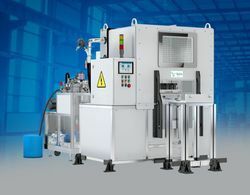 twin engineers offers dispenser for applying anaerobic sealant on engine/gear box components. Mini-MMDs easily sits on a table and is very easy to move or operate in small workplaces. 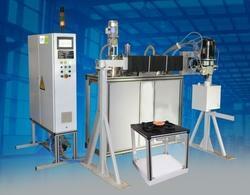 The system comes with all the advanced electronic controls and is suitable for potting unfilled materials. 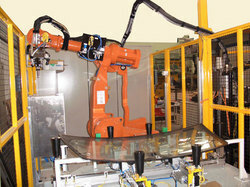 Start your production with just a press of a button using Twin's advanced systems for atmospheric potting. 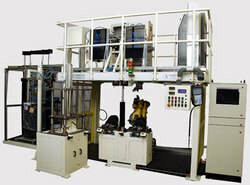 Proven for highly consistent production, these Machines have emerged as the trusted choice aross industries. 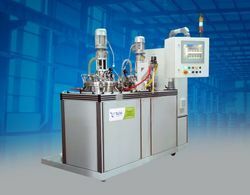 Twin's easy to operate and highly efficient vacuum potting machines guarantee bubble free potting for your products or components. 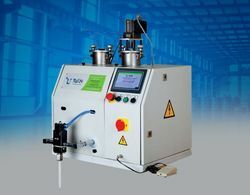 The vacuum potting systems come with an integrated vacuum chamber and a variety of automation options to boost the productivity. » Provision of Two types of oil filling. 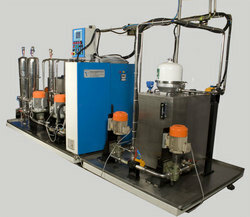 two tank system s. S. 304 (1 for resin + 1 for hardener) with motorized stirrer for resin tank. metering unit comprising of two precision metering gear pumps driven by ac motors to ensure accurate metering and mixing ratio control. 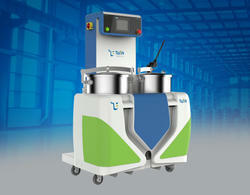 homogeneous mixing module i. E. Electrically driven dynamic mixer with hand held dispensing gun to ensure ease of pouring. 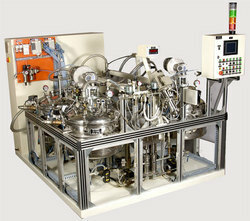 vacuum pump with trap to enable operator transfer the material from barrel to the machine tank. The same pump will facilitate perform de-gassing for resin tank. 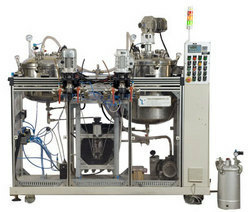 the modular dispensing system consists of tank, dispensing valve and electro-pneumatic controller. 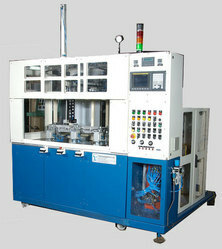 It is suitable for single component dispensing system. System works on time based dispensing control. 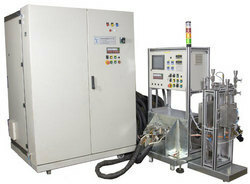 material transfer and degassing facility for resin tank.